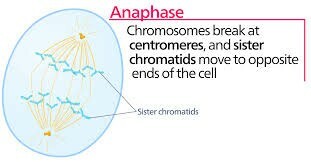 Cell division that results in two female cells that have the same type chromosomes as the parents. 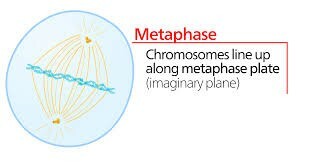 Mitosis is important because it is the main development of the embryos. It is also in charge of the growth of our bodies. This is the phase where the chromosomes start to become visible under a microscope. As they condense, the spindles start to come together. This stage is when the divides the material into two female daughter cells. These two daughter cells are also identical. 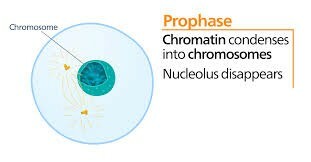 This stage is when the chromosomes start to split up and move to each side of the cell. 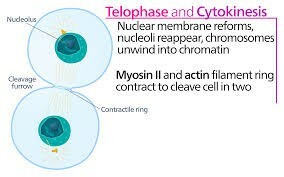 This stage is when all of the new cells start to develop and the spindles start to disappear and the chromosomes become uncoiled.